Wild and cultivated mushrooms provide us with the much-needed vitamin B12 in our diet. Although this is not news, the information is not as widespread as it should be. This is certainly great news for those who follow a vegan or vegetarian diet. It is also great news for those in their mature years because B12 deficiencies are quite common in this age group. it looks as though B12 helps to regulate tumour necrosis activity. Many people are not able to properly absorb B12 supplements as these are synthetically produced. (Cyanocobalamin is the synthetic form of vitamin B12 .) Should they be deficient, many opt for B12 injections. Getting B12 naturally is the best way to nourish your body. Many people refer to Agaricus bisporus as being the common cultivated white button mushrooms that most grocery stores sell. B12 is the active corrinoid that is produced in these mushrooms. Results of an analysis (published in 2009) of B12 was conducted in fresh white button mushrooms harvested from five farms. What was discovered is that there are higher concentrations of vitamin B12 in the outer peel than in the cap, stalk, or flesh; this suggests that the vitamin B12 is probably bacteria-derived. 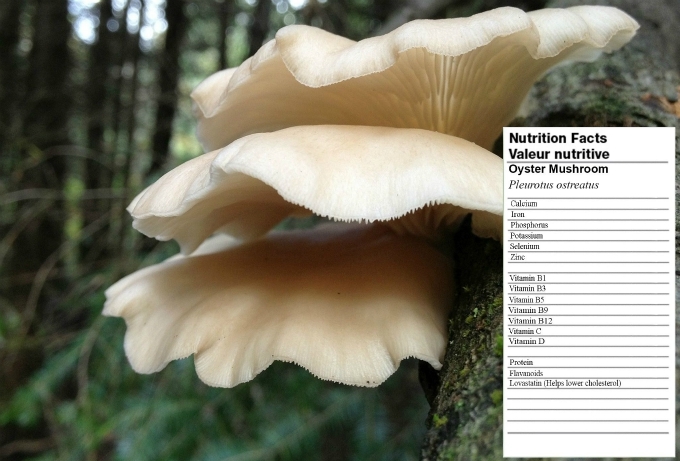 High concentrations of vitamin B12 were also detected in the flush mushrooms including cups and flats. Several wild edible mushroom species are popular among those who love fungi foraging. PubMed published a study in May 2014 (Vitamin B12-Containing Plant Food Sources for Vegetarians) with some interesting results. Zero or trace levels of vitamin B12 were measured in dried fruiting bodies of porcini mushrooms (Boletus sp. ), oyster mushrooms (Pleurotus ostreatus), and black morels (Morchella conica). Fruiting bodies of black trumpet (Craterellus cornucopioides) and golden chanterelle (Cantharellus cibarius) contained higher levels of Vitamin B12. High levels of vitamin B12 are in commercially available dried shiitake mushrooms (Lentinula edodes). The published work states that consumption of approximately 50 grams of dried shiitake mushroom fruiting bodies could meet the RDA for adults (2.4 μg/day). Does Cooking Mushrooms Destroy B vitamins? By volume, cooked mushrooms are nutritionally comparable to raw mushrooms; however, one cup of cooked mushrooms contains twice as many mushrooms as one cup of raw mushrooms. In the cooking process, mushrooms lose up to half of its nutrients, especially its water-soluble vitamin content. B vitamins are water soluble. Of course eating wild mushrooms raw can put your digestive system into chaos and possibly to the point you end up in the hospital. Always eat wild mushrooms cooked. Cultivated white button mushrooms can easily be added into a salad or eaten with a favourite healthy dip. Whether you are vegan, vegetarian or a meat-lover, adding mushrooms, wild or cultivated into your daily diet is important to help achieve and maintain good health. Look at what mycologist Paul Stamets says about eating raw mushrooms. A serious health risk. Not from the stores – if those button mushrooms were that dangerous raw there would be warnings on the packages. I am in my 70’s and have eaten these all my life with NO health issues.